Taking plans and instructions from Dynamite Payson's plans and book, Build The New Instant Boats, Brendan Shea built this Diablo skiff, DY-NO-MITE, and launched her in July, 2011. 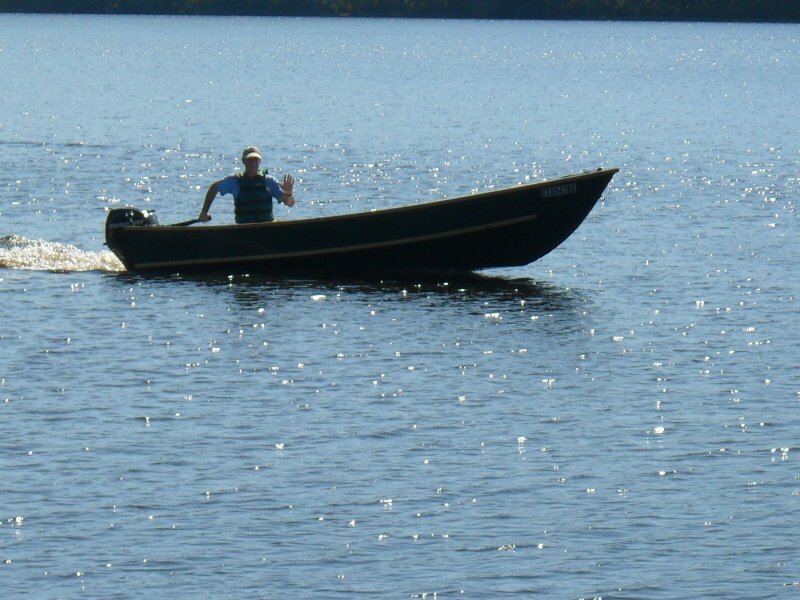 The hull is 15′ LOA with a 5′ Beam, and is constructed from marine plywood with ash rails. Brendan customized the design by adding a small forward deck to support running lights. 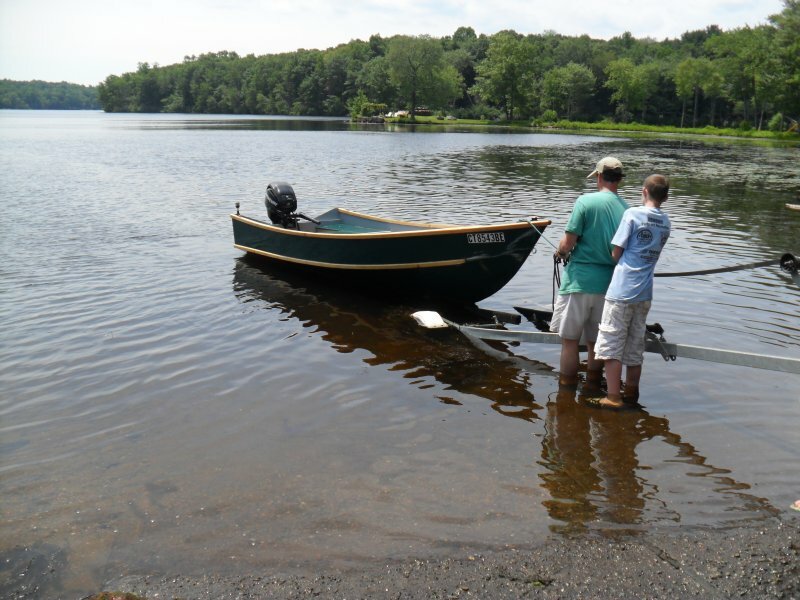 He takes his children, Liam and Katie on the Connecticut River, from Haddam to Hartford, as well as on local lakes. 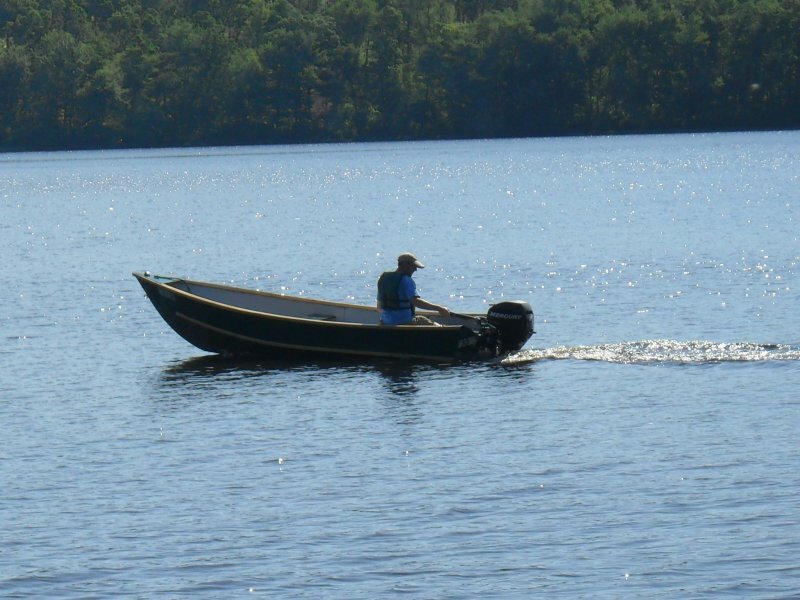 The 20-hp outboard drives the boat to 27 mph. In one photograph, the children are helping to launch the boat.